Ki67 is a proliferation marker commonly assessed by immunohistochemistry in breast cancer, and it has been proposed as a clinical marker for subtype classification, prognosis, and prediction of therapeutic response. However, the clinical utility of Ki67 is limited by the lack of consensus on the optimal cut point for each application. We assessed Ki67 by immunohistochemistry using Definiens digital image analysis (DIA) in 2653 cases of incident invasive breast cancer diagnosed in the Nurses’ Health Study from 1976 to 2006. Ki67 was scored as continuous percentage of positive tumor cells, and dichotomized at various cut points. 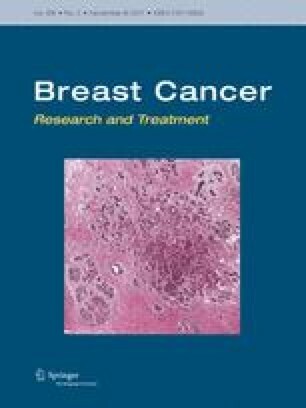 Multivariable hazard ratios (HR) and 95% confidence intervals (CI) were calculated using Cox regression models for distant recurrence, breast cancer-specific mortality and overall mortality in relation to luminal subtypes defined with various Ki67 cut points, adjusting for breast cancer prognostic factors, clinico-pathologic features and treatment. DIA was highly correlated with manual scoring of Ki67 (Spearman correlation ρ = 0.86). Mean Ki67 score was higher in grade-defined luminal B (12.6%), HER2-enriched (17.9%) and basal-like (20.6%) subtypes compared to luminal A (8.9%). In multivariable-adjusted models, luminal B tumors had higher breast cancer-specific mortality compared to luminal A cancer classified using various cut points for Ki67 positivity including the 14% cut point routinely reported in the literature (HR 1.38, 95% CI 1.11–1.72, p = 0.004). There was no significant difference in clinical outcomes for ER− tumors according to Ki67 positivity defined at various cut points. Assessment of Ki67 in breast tumors by DIA was a robust and quantitative method. Results from this large prospective cohort study provide support for the clinical relevance of using Ki67 at the 14% cut point for luminal subtype classification and breast cancer prognosis. The online version of this article (doi: 10.1007/s10549-017-4421-3) contains supplementary material, which is available to authorized users. We would like to thank the participants and staff of the Nurses’ Health Study for their valuable contributions as well as the following state cancer registries for their help: AL, AZ, AR, CA, CO, CT, DE, FL, GA, ID, IL, IN, IA, KY, LA, ME, MD, MA, MI, NE, NH, NJ, NY, NC, ND, OH, OK, OR, PA, RI, SC, TN, TX, VA, WA, WY. The authors assume full responsibility for analyses and interpretation of these data. This study was supported by the National Cancer Institute (UM1 CA186107 and Dietary and Hormonal Determinants of Cancer in Women NIH P01 CA87969). MAH and KAH were supported by the National Institutes of Health Cancer Epidemiology Training Grant (NIH T32 CA09001). The authors declare that they have no conflict of interest. AHB has an equity interest in PathAI,Inc. All data collection was conducted with approval of appropriate institutional review boards to protect human subjects with consent and data protection systems in place. Data analysis for this manuscript was conducted on de-identified data sets.